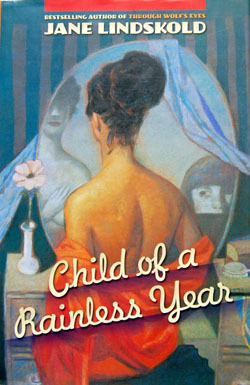 slightly startled to see a copy of my novel Child of a Rainless Year looking up at me from the table. Then enlightenment hit. We were meeting our friend, Michael Wester. Michael is very fond of this particular novel and often brings copies for me to sign so he can give them to various people. Me to Jim: Ah! Michael must be here. I thought I’d seen him ahead of us. Coin Show Official (not quite catching what I was saying): Someone left a book here. Me: Probably a friend of ours. I wrote that book. CSO (interested but obviously confused, for good reason): I think someone left this book. Me: Yes. I think a friend of ours did. I wrote that book. He really likes it. CSO: Oh! You really wrote it? Me (reaching for wallet): I did. Want to see my ID? CSO: That’s really neat. I don’t meet many authors. [Pauses to look at cover with expression of mild regret.] I wouldn’t have read this one. I don’t read this stuff. Me: What do you read? CSO: Science Fiction and Fantasy. Me: This is Fantasy. It’s set here in New Mexico. CSO (looking newly interested): Oh! I thought it was a romance novel. However, I couldn’t quite let go of that conversation. It haunted me through the following week. I found myself wondering how many potential readers – even those who already liked some aspect of my books – hadn’t picked up the novel because the cover made it seem as if I’d wandered somewhere they didn’t want to go. And, especially for this novel, it is very odd cover art indeed. In some senses, it provides a perfectly accurate representation of the opening scene. However, for a book that has as its opening line “Color is the great magic,” it is remarkably drab. The dominant shades are muddy blues and browns. The only flash of brilliant color – a red shawl – is occluded by the title (and on the paperback the title and the author’s name). It’s a fine painting. 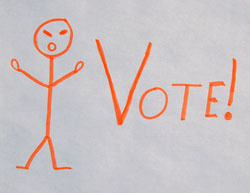 It’s an accurate illustration. However, to me, it says nothing at all about the book. And, yeah, I don’t blame the Coin Show Official for thinking it was a romance novel. I’d go even further and say an old-fashioned romance novel. 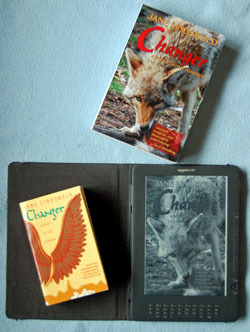 On the mass market edition, the background parts of the cover are done in tannish-orange stripes – not distinct stripes, like those on a zebra or tiger, but muted stripes that blend into mud. The text fades into this, so the wonderful review quote from Library Journal, a quote that might let the reader know this isn’t a romance novel, is nearly unreadable. Did the cover draw you in or push you away? If you didn’t know my work, would you think “romance novel”? If you were to put a new cover on the book, what would you choose? Let your imaginations run wild! Have I ever told you that I do work in polymer clay? I do. Oddly enough, it’s writing that got me into it. One of the two books that Roger Zelazny left unfinished at the time of his death and I later completed was Lord Demon. Kai Wren, the main character, is a potter and glass blower. When I started the book, I found myself having a little trouble getting into Kai Wren. I decided I needed to know more about his craft to understand him. I read a bunch of books about making pottery and blowing glass. I watched some demos in person, getting the heat of working glass into my blood, the wet fluidity of making pottery into my soul. In the course of all of this, I learned about polymer clay. 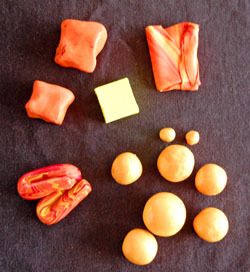 Unlike “real” clay, polymer clay can be fired in your home oven. 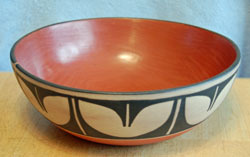 It’s affordable, multi-colored (a huge attraction for me), and a fairly forgiving medium. As my last step in getting to understand Kai Wren, I bought a pack and started working with it. The book is long done, but I’ve never lost the attraction. Maybe because I started working with polymer clay in association with my writing, it’s also something I continue to associate with writing. This is true to a greater or lesser extent with several other crafts I do. All of them occupy my conscious mind so that my subconscious mind is freed up to work on the story in question. I talked about this a bit back in my Wednesday Wandering for 8-11-10, “Walking Away From It.” Today I want to talk about something related but different: The Importance of Messing Up. The importance of messing up is related to feeling free to take risks, something I talked about a year ago in relation to planting lilies (WW 3-30-11, “Taking Risks”). By the way, the lilies did pretty well, but the ones by the sidewalk struggled with the heat. We’ve moved them to the back. We’re going to try zinnias by the sidewalk. The lilies we put by the pond did great. That was a risk that paid off. Messing up may be related to taking risks, but it’s completely different. When you take a risk, you know it might not work. When you mess up, you know you’ve done something wrong. You’ve wasted time. You’ve wasted effort. Where a risk taken that doesn’t pay off merits a shrug and an “oh, well,” messing up can trigger anger, resentment, a feeling that you’ll never get it right. For any type of project this is dangerous, but for writing it can be devastating. Why? Because writers so often expect to get it right the first time through. Let me go back to me and polymer clay. I was working along, blending a color for modeling a figure. I’d gotten it just right. Then I realized I didn’t have enough for the project. I pulled out more clay and started blending again. This time, whether it was because I was tired or impatient or just eager to get going, I messed up. I forgot one of the cardinal rules of blending polymer clay. Always add far less of the “darker” or “stronger” color to the lighter. Suddenly, instead of the tawny orange shade I wanted, I had something between flame and pumpkin. To make matters worse, my hands hurt from all the kneading I’d been doing. I wanted to quit. But, hey, this was just polymer clay. The orange wasn’t wasted. I could use it some other day. I pulled out more yellow and added a small amount of the pumpkin orange. Eventually, I had my color. I was out of time to finish that project, but there would be another day. With writers, however, too often the reaction to messing up is to reject the project entirely. It isn’t good enough. It’s lost its “magic.” Something else would be more fun, easier, more popular. The thing is, unlike that polymer clay which can be reused, a story rejected because the writer “messed up” is lost forever. The writer really has wasted time and effort. I’m not saying every story is worth finishing. Sometimes what is learned from messing up is that this particular piece truly is a dead end. Sometimes, however, in working past where you messed up, you can learn a lot, not just about that story but about how you make stories. So don’t be discouraged when you mess up. Come back and give it another try. Maybe you’ll need to walk away for a while. Maybe you’ll need to categorize the new effort as taking a risk, but at least give it a try. At the very worst, you’ll know you didn’t just surrender to frustration. At the best, you may have a finished piece where otherwise you’d just have had a sense of disappointment. How do you handle when you mess up? Any tricks? I’m always glad for something to add to my toolbox. If you’re looking for the Wednesday Wanderings, just page back for trains, technology, and the difference between knowledge and information. Then come and join me and Alan as we chat about places that don’t exist – but certainly seem to do so! about the history of an area. Given that we’re both readers of SF/F and I write it as well, the logical place to go from here is fictional place names. As I see it, Tolkien set a really high bar in his books for place names. Not only did he name places and natural features, often they had different names in different cultures. ALAN: There’s no doubt that Tolkien was an absolute genius when it came to naming things. Mostly, of course, this was because he was so immersed in the history (the back-story as it were) of Middle Earth. But he was by no means the first writer to be good at naming things and neither was he the first to work within an invented history. Robert E. Howard invented a whole mythology and history for the world in which Conan went adventuring. Many of the books which collect the Conan stories together are prefixed with a long and erudite essay called “The Hyborian Age” which goes into this in great detail. It’s an extremely clever essay which sounds completely real and which is very convincing. I think Howard made it so convincing because it was a mishmash of real names (“the Picts”) and names which sounded as though they ought to be real (“Aquilonia” – I’ll swear that’s a province in Spain…). The whole was greater than the sum of the parts and Howard’s Hyborian age felt utterly real as a result. JANE: I didn’t read Howard until I was an adult. I really enjoyed the Conan stories. It’s a pity how the movies have presented him only as a shallow brawler when he’s actually a complex character who evolves throughout his life. I found it easy to imagine that Howard’s Hyborian Age fit into real history somewhere. ALAN: Henry Rider Haggard was very good at this as well. And, like Howard, he did it with a judicious mixture of the real and the imaginary. The Africa in which Allan Quartermain and Umslopogaas lived and died was very real. The lost cities of Kor and Milosis were not. But nevertheless they felt like part of the real landscape and even today the description of Umslopogaas’ defense of the Queen’s Staircase in Milosis can bring tears to my eyes. JANE: Now that I think about it, there is a long tradition of fitting imaginary places into our real world. 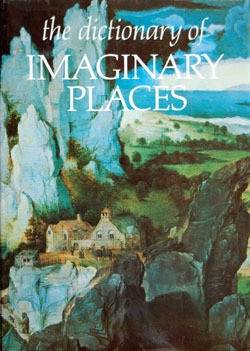 I have a book on my shelf – The dictionary of Imaginary Places, by Alberto Manguel and Gianni Guadalupi – that takes a look at a wide range of these from several different genres. I guess making up new places is part of the pleasure of writing. ALAN: There’s nothing wrong with youthful follies – we all have them. Personally I was imprinted on Edgar Rice Burroughs at a young and impressionable age. And he too was just brilliant at the naming of names. Burroughs’ lost city of Opar, and also Athne and Cathne, two cities eternally at war, were just spellbinding. Again, as with Howard, there were hints of real history to make the story convincing. The cities were lost colonies, probably Phoenician, though I seem to remember that Tarzan also stumbled upon a lost Roman city in one of his adventures. JANE: Oh! I also loved Burroughs, especially the Tarzan stories. They had a huge impact on me. John Carter never worked for me, though. On the whole, though, I like place names that tell you something about the area and the people who settled it. Larry Niven’s Known Space was all the richer for me when – as a reader, adventuring, so to speak with the characters – I learned why “We Made It” was called that or why there was a Mount Lookatthat. ALAN: I find that completely convincing. There’s actually a bay in New Zealand called Taylor’s Mistake because a ship’s captain (the eponymous Mr Taylor) sailed into it under the impression that he was somewhere else entirely. So Niven’s names definitely strike a chord with me. JANE: Great… We’ve been talking about some of the best, but maybe it would also be fun to look at the worse and the just plain weird. Let’s go for it next time! Mexico Steam Locomotive and Railroad Historical Society. Our guide, Ken Dusenberry, started us out by showing us the already completed tender. The tender – for those of you who (like me) don’t know much about trains – is where the water and oil is carried. This one was equipped to hold 24,500 gallons of water and over 7,000 gallons of oil. Looking at the tender, bright and shiny in its fresh coat of paint, it was hard to believe that this was a machine dating from 1944, built to support transportation of troops and supplies for WWII. After we viewed the tender, Ken took us through to where the steam engine itself was being restored. 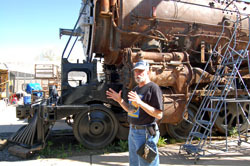 Jim and I had seen it a few years back, and even though it was obviously old (Engine 2926 sat for many years out in the open in a park in Albuquerque) it had a certain dignity and grandeur. This was a very different machine. The cab had been removed. So had the outer plating. This left the brown metal exposed to inspection. Grids had been drawn all over the body, sections within the grid neatly numbered. Pipes and bolts were clearly visible. Such a job could not have been done out of doors in many other places in the United States. However, Albuquerque’s very dry climate meant that what rust the engine had accumulated was minimal – and the worst of it dated back to those years as a park ornament, when watering the park’s lawn meant the engine got sprayed with water a few times a week. I’m not going to even try to summarize all the details we heard in Ken’s intricate and informative talk. However, I can say I came out of it with a great deal more appreciation for how intricate a piece of technology a steam engine is. I suppose, having seen them in old movies, having heard one too many stories about little boys staring at tea kettles on the boil and dreaming up steam engines, I thought they were fairly simple. No such thing! As I listened to Ken talk about the various people who had worked on the project, about their contributions, not only of time and money, but of knowledge as well, I began to realize something else. Even in this day and age of written records, knowledge gets lost very easily. By “knowledge” I mean something more complicated than mere information. By “knowledge” I’m talking about the combination of experience and information that comes together to tell someone that a machine (or anything else) is working right. 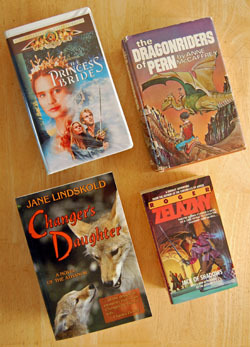 All this got me thinking… A popular sub-genre of SF (and some Fantasy, too) deals with the rediscovery of lost technology. In these tales, the old machine is found. The characters in the story want to get it up and running again. Sometimes they find the old instruction manuals, sometimes they’ve just “heard” about how the old machines worked, sometimes there’s an old computer around from which information can be scavenged. Having listened to what Ken and his associates have gone through in their restoration of Engine 2926, I suspect this is a very simplistic picture. They’re working on a machine that was built in 1944 and ran for some years thereafter. In these stories, the “lost” technology is often hundreds or thousands of years old. I can’t help but think that, while the information might be available, the “knowledge” about the finer points would have been lost. Told right, though, figuring out the missing parts of the picture could make for a gripping story. Has anyone written something like that recently? Any titles you could recommend? How would you figure out how to launch that ancient space ship you just happen to find in your backyard? I suggest you check out Chad’s comment(and while you’re at it, take in all the rest; they were especially thoughtful). In brief, Chad was talking about how he went and viewed some of Melissa Zink’s work on-line. Her later work in particular made him consider the abstract nature of the written character. He then speculated on how we might react differently to seeing the same characters on a computer screen or on the pages of a book and how the physical possession of a book makes us feel we own something that puts us in direction contact with the characters and their world. Chad’s comment made me think about how I was reacting at that very moment to the book I’d just picked up from the library. Since this particular book is one I am reading mostly because I want to form my own opinions, not just parrot what “everybody” is saying, I’m viewing reading this book with some trepidation. I keep peeking inside, reading a few words, then closing the book – rather in the same fashion that, as a child, I might have opened a door and checked out new and potentially dangerous terrain. But, you know what they say… You can’t judge a book by its cover. It’s true. You need to open the door and go inside the world beyond. There’s a similarity to the two physical acts. Humans are physical entities. I’ve read that similar motions can trigger the similar responses. Last year, I read how a popular juice brand changed its packaging to a more efficient and ergonomically designed model. Within a few months, they changed back. People didn’t “feel” they were getting the same experience, even though the contents were the same. Sales dropped off in favor of juices in more traditional containers. I’m sure you folks can supply other examples of when a change of shape or action changed the experience. I bet that the “open the book” experience is why some of the most popular e-book covers mimic the shape of a book, complete with a cover to open. The model Jim has is even embossed leather. You don’t get much more “book-like” than leather binding. All of this has given me serious insight to why I reacted so differently to trying e-book readers in stores and viewing material on Jim’s once he bought it. That leather cover makes the e-reader look and feel more like a “real” book. Think I’m pushing the idea that form can color the experience too hard? Here’s an interesting anecdote in support. A few years ago, a friend who lives in a foreign country begged me for the electronic file of a forthcoming novel. He later wrote back that he was not as happy with the story as he had hoped he would be. Later, when the book came out, he bought a physical copy. He wrote me as soon as he finished reading it, making me promise that I would never again let him talk me into sending him a book as an electronic file. The novel’s contents had been just fine. He’d loved it (and went on the read the rest of the series). It had been the experience of reading the text off a standard computer screen that had put him off. I’ve heard similar stories from other authors, other readers. A story is changed by the format in which you read it. To this day, when Jim reads one of my books in manuscript, he requests a very specific format, one that lets him feel more as if he is reading a “real” book. So maybe there’s nothing like “opening the door” and walking into a book. Maybe that’s why despite the efficiency and increased sophistication of e-book readers, tablet computers, and all the rest, still, there will be nothing quite like holding that physical tome in your hand and feeling connected to the people and places within. What do you think? I love being stimulated into new ways of thinking about familiar things.